What is the ForeverStrong way? Even if you’re not a gym rat, there’s a certain allure to knowing your stuff at the gym. At a gym you can jog on a treadmill, lift some weights, and do squats, but there’s nothing as empowering about a personalized workout program. Knowing exactly why you’re doing every single movement and what the benefit of that movement feels more satisfying. That is the basis of the ForeverStrong Training Method and that is why our clients have such great success. For eight weeks give our program everything you’ve got and you’ll be well on your way to new strength and muscular development as well as enhanced mobility. Give it even longer and you’ll see continued success. 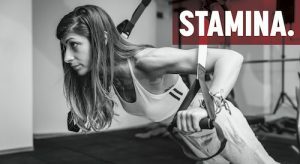 The many benefits of the ForeverStrong training method are, it will not bulk you up, it creates lean muscularity, and increases your metabolism. ForeverStrong clients get amazing results with each eight week program cycle utilizing progressive strength training focused on the full-body-five method. This method uses periodized cycles and progressive goals that continue to build on the previous cycle. Each eight week program is a different focus and utilizes a different program style. 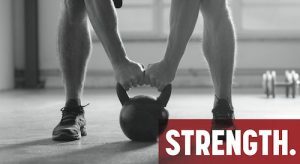 During the previous eight week ForeverStrong Program Cycle, we utilized Supersets to build strength and boost performance for a full body workout. Chances are, if you’ve ever attended a circuit-style workout class or had a personal training session, you’ve seen the word “superset” as part of the usual strength training routine. But as common as supersets might be, there’s still a lot of confusion about what they are and how to do them right. The answer is simple: alternating sets of two different exercises with no rest in between. For example, doing a set of kettlebell curls and a set of tricep extensions, alternating until you’ve completed all the sets. However, when it comes to choosing movements to combine, things become tricky. To get the best results, movements can’t just be thrown together. That’s why the ForeverStrong intelligently designed superset has your personalized goal in mind. In this article, we reveal the results of our last eight week program cycle! Our last program cycle focused on the entire body. We wanted our clients to build their strength and boost their performance with a full body workout. A customized movement combination was incorporated into a personalized training plan for each client. At each training session the client focused on a number of combined movements to perform that day. Each client’s program was personalized to his/her goals and the amount of work was determined based on those goals. The amount of work progressively increasing over the eight week period. 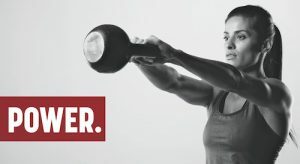 At the end of every ForeverStrong workout there is a High Intensity Finisher. HIIT is considered to be much more effective than normal cardio because the intensity is higher. You are able to increase both your aerobic and anaerobic endurance while burning more fat. At ForeverStrong our HIIT Finishers are fun! We combine many short bursts of cardio exercise with short rests or with a tension movement. 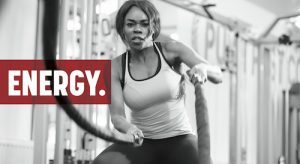 Our cardio includes anything from battle ropes to running on a treadmill. All of this is done in a small group with everyone working for a common goal – Let’s knock this out of the park! Our clients love our eight week program cycles and the specific focus of each! Because of the ForeverStrong training method, clients see results. For the last eight week cycle, our clients more than doubled the amount of work they were capable of at the beginning of the program. We determined the increase by strength testing (number of reps) of specified movements at the beginning of the program. We then retest that same movements with the same weight at the end of the program to see the increased number of reps. From there we determine the increase. However, clients not only saw percent increases in strength, they saw increases in load (weight) throughout the program cycle, ability to move from a modified movement to the full movement, and doing movements without any assistance such as a plyo box, riser, or bench. The ForeverStrong team wants to Congratulate all of our clients as the majority showed improvement in their movements or stamina in the HIIT Finisher. Congratulations! Our Personal Trainers have helped hundreds of people in Howard County and the surrounding areas lose weight, tone up, and become stronger. Our neighbors in Highland, Clarksville, Columbia, Burtonsville, Olney, Ashton and Silver Spring love their personalized training program. Unlike group fitness classes, each client receives a custom program. We’d love to help you too. Call us at 301-452-5547 to see for yourself. Mention this article for a free session!